New research has revealed that when it comes to productivity suites in the cloud, Office 365 is twice as popular as Google’s G Suite (previously known as Google Apps for Work). At least in Europe anyway, according to the EMEA Cloud Report from data protection outfit Bitglass, which encompasses some 8,000 companies and found that 43% of enterprises used Office 365, compared to 22% on G Suite. In total, 66% (rounding up) of companies were using one of this pair of heavyweight productivity suites, which was up considerably from 59% in 2015. The study also found that Slack was a big success, particularly in Europe where two out of three firms have tried the service, compared to just a third of US organisations. Which might mean that Europe is tougher ground to crack for Microsoft Teams (the company’s Slack challenger which is due to launch soon). The report notes that the UK and Germany have fallen behind in terms of cloud adoption, but there’s good news for the latter when it comes to cloud security. Germany was labelled as the most security conscious country in Europe with 55% of firms using Office 365 having an SSO (single sign-on) solution in place, followed by the Netherlands on 52%. In total, 49% of organisations with Office 365 are using SSO in Europe and 10% of those with G Suite deployed, again comparing very favourably to the US, where those percentages are 23% and 5% respectively. One final statistic for you: European tech companies have an unsurprisingly high rate of cloud adoption at 83%, although that’s bested by the media sector which is top on 87%. 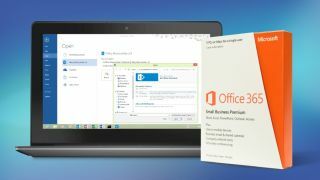 So what are the best alternatives to Office 365/Office 2016?